It is that time of year!. 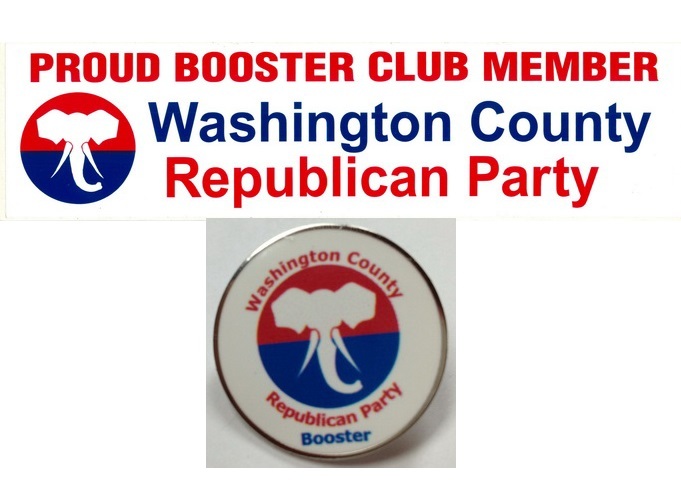 Time to renew your Washington County Republican Party booster membership. 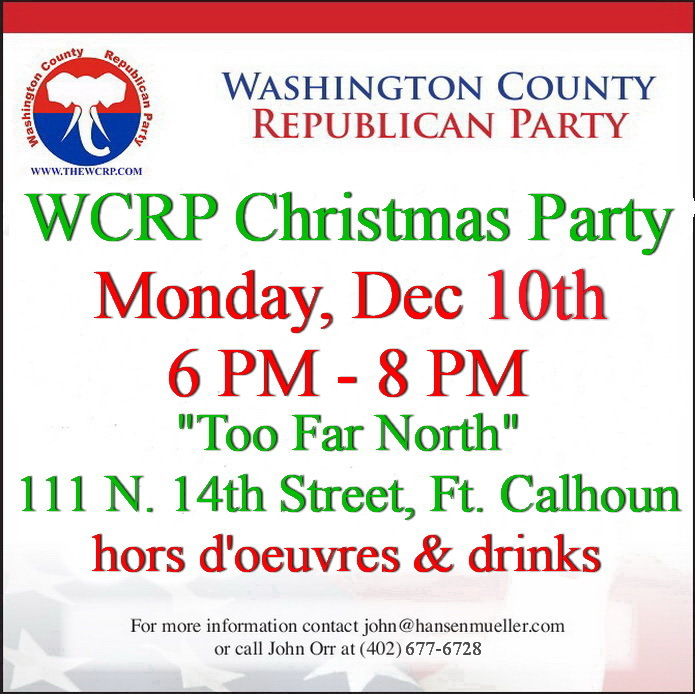 Your dues help fund important party functions including publishing a Washington County Republican slate in the newspaper, sponsoring & funding events to help support Republican candidates like Gateway to the West Picnic in the Park & parade float, County Fair booth, WCRP Ice Cream Social and parade float. 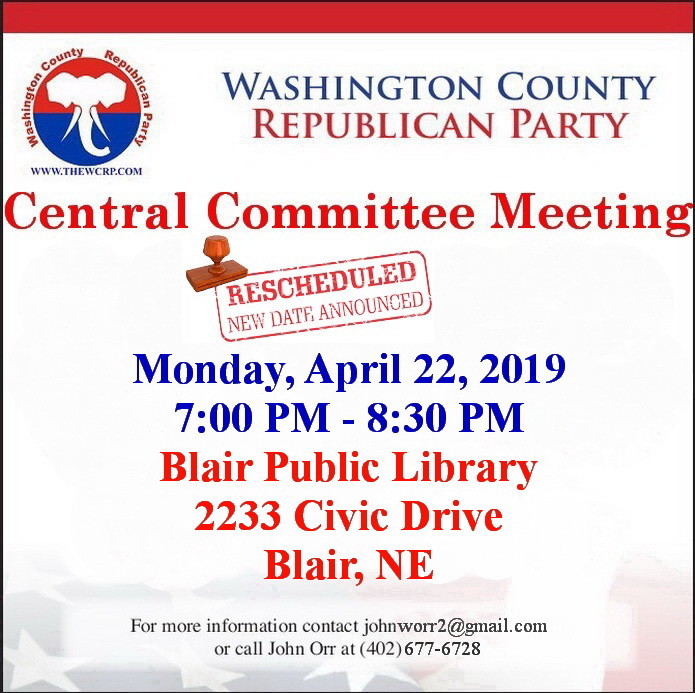 Please plan to renew your 2019 WCRP Booster Club membership & invite your friends too! 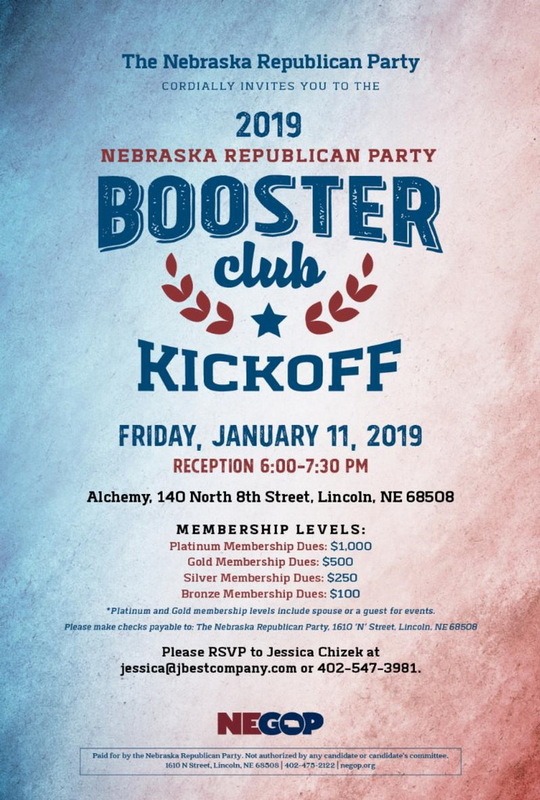 2019 NEGOP Booster Club Reception! 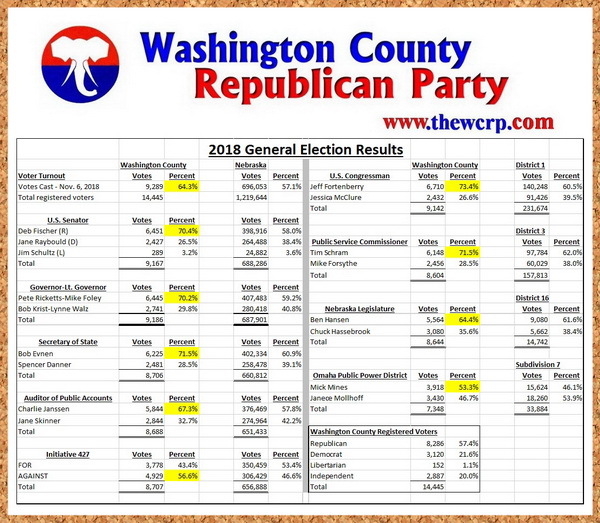 2018 General Election Re-Cap for Washington County. 2018 General Election re-cap. 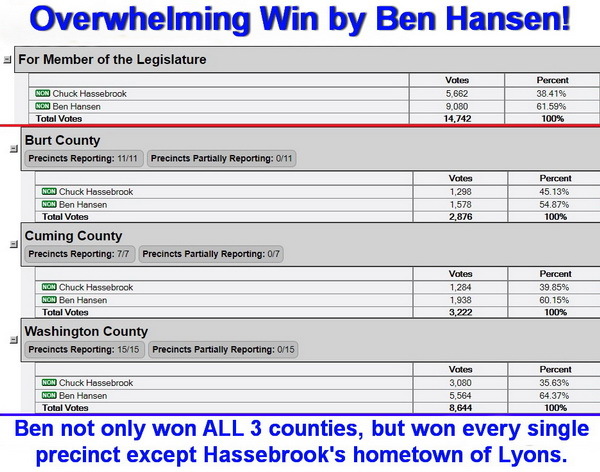 Washington County Republicans should be proud! Turnout was a record for a mid-term election at 64.3%. Every single Republican candidate received a HIGHER percentage of votes than across the rest of the state or districts. Grateful to live in a county of well-informed, conservative Republicans. Great job everyone! 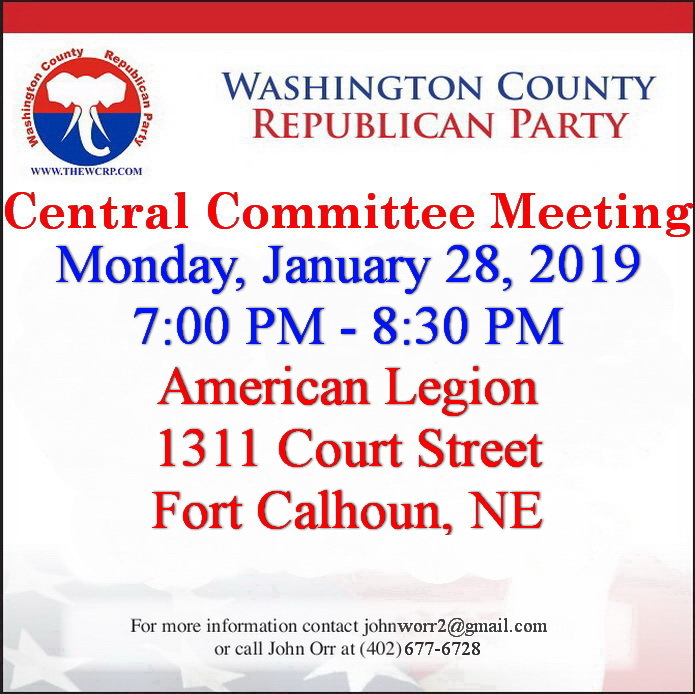 2018 Washington County Republican Slate of Candidates! 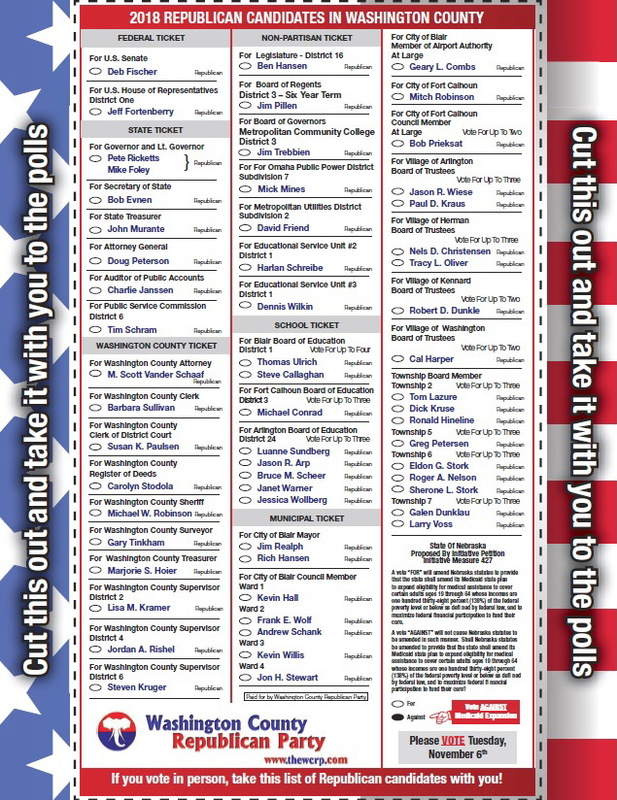 Please print this GOP Slate of candidates for friends and family so they can take it to the polls when voting. Gov. 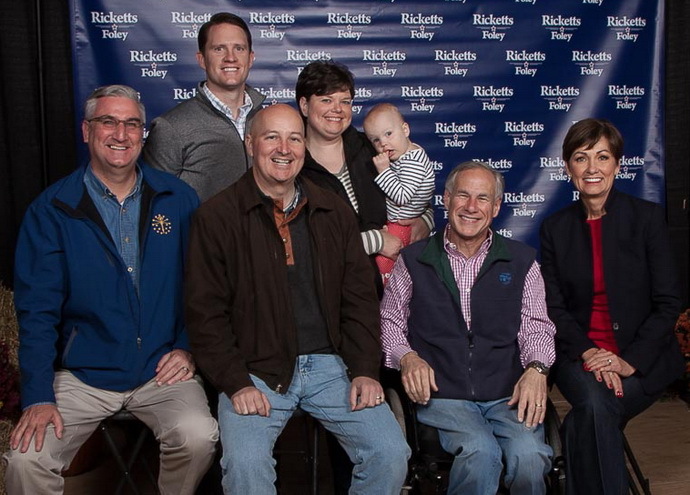 Ricketts Steak Fry a Huge Success!